In this post, I have explained a simple, yet effective form of healing cough and colds and the accompanying headache using Rudraksha Water Healing Therapy. 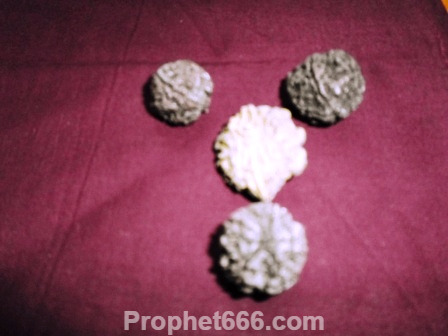 The Cheh Mukhi Rudraksha or the Six Faced Rudraksha Beads are used to perform this remedy. For practicing this remedy, 2 Six Faced Rudraksha Beads have to be kept immersed in clean drinking water in a washed copper or stainless vessel for about a minimum period of three hours. The person suffering from severe cough and cold should inhale a few drops of the Rudraksha Water with both his nostrils by dipping his nose a little bit inside the Rudraksha Water. Very soon, the practitioner will start sneezing and get relief from the cough and cold. The same Rudraksha Water Therapy will also give relief from headaches as the sneezing make the air accumulated in the head region move out of that body part. Note- This Rudraksha Water Therapy to heal cough, colds and headaches has been written to give information about interesting Indian Healing Remedies, to practice them or not is left to the good sense of the readers.